Can “Big Mother” Help Your Posture? Everyone knows that mobile apps are changing our world every day, particularly in the world of fitness apps. Well a new crop of personal health technology is hitting that market. These new products are combining dedicated hardware to work in tandem with a custom app to help you perform better. One of the simple, yet powerful examples coming out is targeted at something a lot of us suffer from: poor posture. I know that when I sit at the computer for an extended period of time I start to slouch. The longer I set, the lower I slide into my chair. This is where the LumoBACK device comes into the picture. The LUMOback is part of growing collection of wearable health technology that has the potential to be a realtime coach showing us how to enhance our performance. It also has the potential to spy on our every move. That’s how the slightly comical, slightly creepy “Big Mother” term came about. This small band goes around your waist and watches your lower back posture. When you start to slouch, it gently vibrates to remind you to sit up straight. There’s also a companion app for your iPhone that shows a simple avatar of your posture as you stand, sit or walk. Using the app, you can see how adjusting your body can change you posture. The end result of this realtime feedback is that you start to build new muscle memory throughout your day. We’ll be doing a full review of the LUMOback soon. Today Withings announced a big expansion of its product line. Most well known for its wifi-enabled body weight scale, Withings now has a smart activity tracker called, wait for it, the Withings Smart Activity Tracker. Based on the initial details about the product, it appears to be a direct competitor to the Fitbit One. Some of the on screen icons even look the same as the One. The features look almost identical (steps, stairs, sleep tracking, etc.). The main new feature appears to be a heart rate monitor that is activated by pressing your finger on a sensor on the back of the device. The Withings Smart Activity Tracker also has a touch screen and the ability to review a limited amount of historical data right on the device (most devices like the Fitbit One only show the current day’s stats). Pricing hasn’t been announced. It’s expected to be released this spring. Stay tuned for a full shake down on the Smart Activity Tracker soon. You can read the full product release from Withings about the Smart Activity Tracker here. Fitbit today announced at CES the latest addition to the company’s line of wearable fitness devices. The new Fitbit Flex band offers some new features (like being waterproof and the ability to wear on the wrist), though it doesn’t offer some of the more detailed stats on the number of steps you’ve taken like the Fitbit One of the Fitbit Zip). The Fitbit Flex does let you swap the tracker between different bands if you want to be able to wear different colored bands depending on your wardrobe selection for the day. We’ll be putting the Flex through its paces as soon as it ships and provide a comparison to the Fitbit One and Zip, as well as other smart pedometers on the market. The Flex will retail for $99 when it goes on sale. You can read the full write up over at TechCrunch. This is an interesting prototype. It’s a device that senses how much exercise you’re getting (in this example it’s looking at how far you bike). When you start “running low on exercise”, the orb turns from green to red and slowly slows down the speed of your computer mouse (this is obviously targeted at those of us that sit in front of a computer for a good part of the day)! You are then supposed to go ride your bike for a while to recharge your PEO orb. Then you plug it back into your computer and your mouse is back to normal speed. Until you run out of exercise again. I think a better way to achieve the same effect would be to use something like a Fitbit and just use that activity data. In the case of the Fitbit, it’s already set up to wirelessly transmit activity data in real-time to your computer. If you’re using the new Nike+ Fuel Band you can now set it up to automatically publish your healthy activities right to your Path mobile social account. In the announcement from Path, they discuss how you can now link from the Fuel Band without having to manually push the data out. With the nice summary of how you’re doing relative to your daily activity goal (called your NikeFuel score) popping up right on your Path account, your friends and family can give you that gently nudge you need to stay on track. 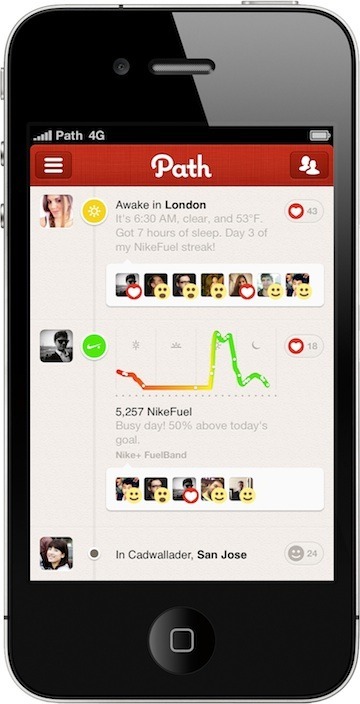 You don’t have to use the Fuel Band to integrate with Path. If you use the Nike+ app on your phone, you can configure it to also post directly to Path. If you’re a Fuel Band (or even a regular Nike+ user) you can try it out today. Do you use your iPhone to track your workouts? I regularly use Nike+ for my running, and MapMyFitness for my cycling. It works great, but for longer runs and rides, the constant GPS use by these applications can really drain my battery. That’s where the Mophie Juice Pack comes in. This clever device is both a case and a battery. Once you attach the Juice Pack to your iPhone, you get about double the normal battery life. And you can still access all the usual iPhone controls, and even charge and sync the iPhone without removing the case. With the added thickness of the battery, I had trouble attaching my iPhone to my handle bar mount that I use on my bike. I’ll be trying out a new mount soon that accommodates a bigger phone. For now, the phone is in my riding jersey pocket when I use the Mophie. So if you’re a data junkie who likes to track all the details of your workout, check out the Mophie! The Juice Pack Plus retails for $99, and you get get it directly from Mophie. NOTE ABOUT BUYING A MOPHIE ON AMAZON: I bought my first Mophie from Amazon for $68. 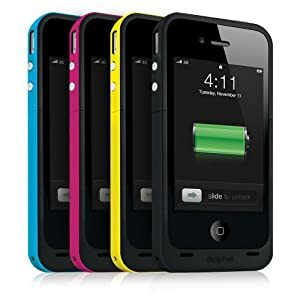 I thought it was a great deal until I realized that it was a knock off product and not made by Mophie! For instance, the buttons on the case were just glued on and not actually working. After reading the comments on Amazon it appears that I’m not the only one this has happened to. To be safe, I’d just get it directly from Mophie (or one of the cell phone stores like AT&T or Verizon). 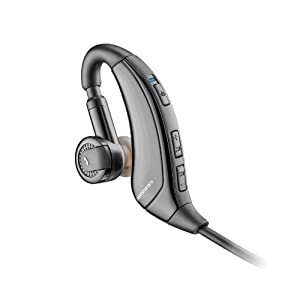 Good sound quality (not as good as some of the in-ear noise isolating headphones, but still good enough). There’s also a bass-boost option that adds a bit more punch to your music. Light weight. Easy to use for running. Integration with voice dialing and Siri (on the iPhone 4s). You can press the left button for two seconds to activate Siri.